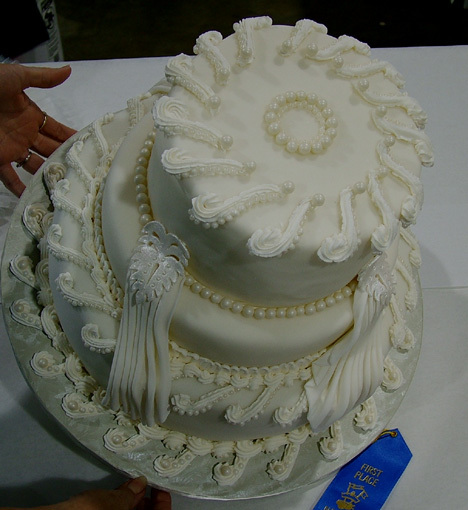 2005 National Wedding Cake Challenge Competition held in Tulsa, OK was seen on Food Network. 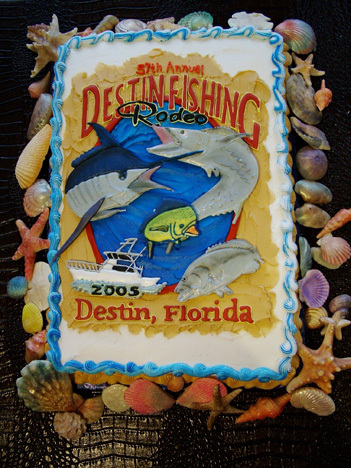 Our cake was also shown on Food networks program Sugar Rush. 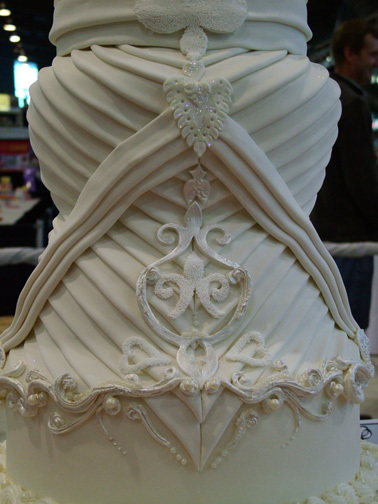 This wedding cake was inspired by wedding gown named Kara. 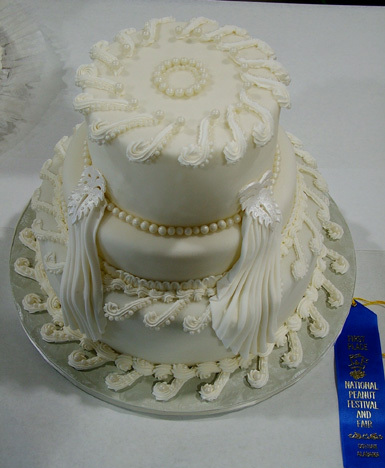 This cake was awarded Silver Award. 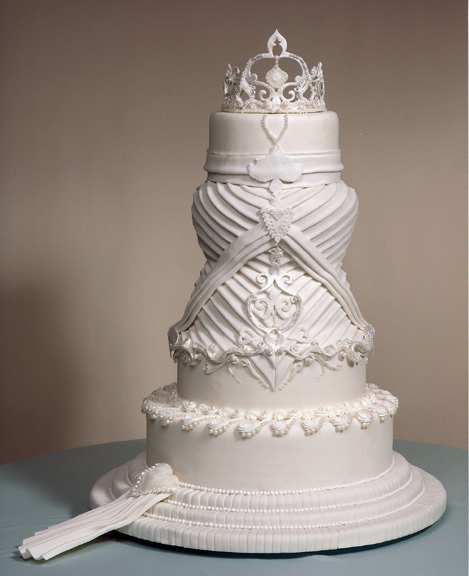 If served, it could serve 600 wedding guests. All decorations are edible. 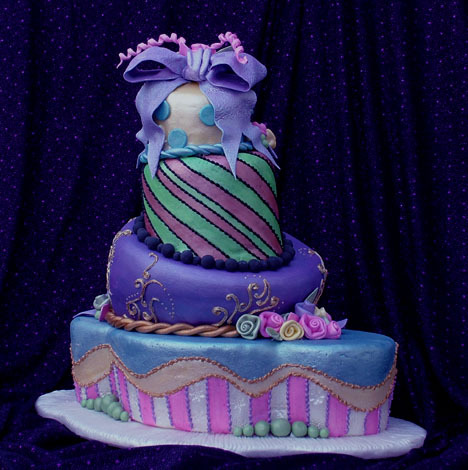 Tirea topper is completely edible. 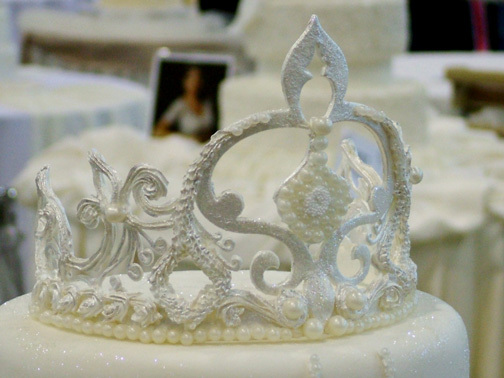 Made from sugar paste, royal icing and sugar pearls. Made the 2500 mile round trip in tact!. 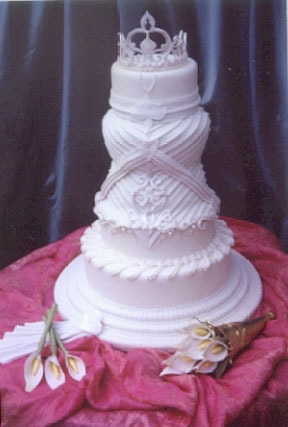 Sugar paste tussie mussie with bouquet of edible calla lillies accented the display.